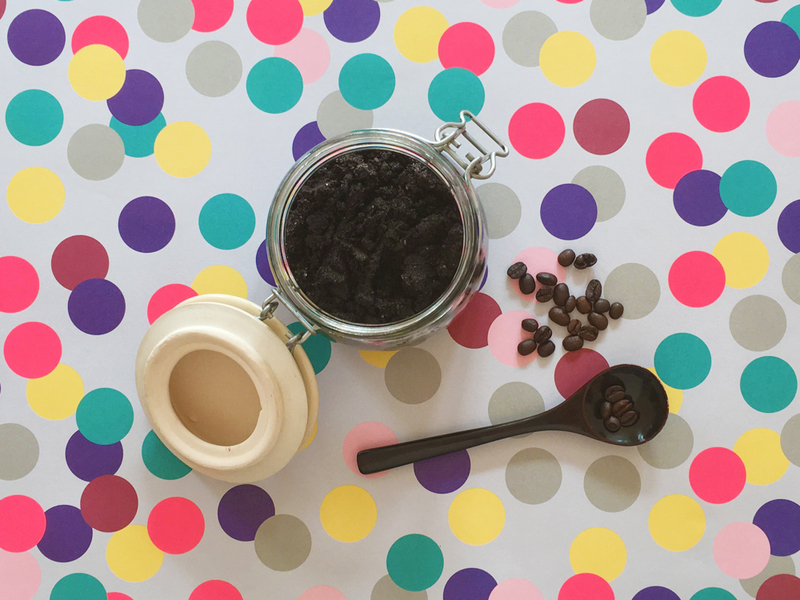 We have a food recycling caddy at home and we cook a lot, but somehow the little bin gets filled with a lot more tea leaves and coffee grounds than I ever realise – we drink so much tea and coffee! So, as it seems such a waste, I’ve been looking into other uses for our hot drink leftovers, besides feeding them to our plants. 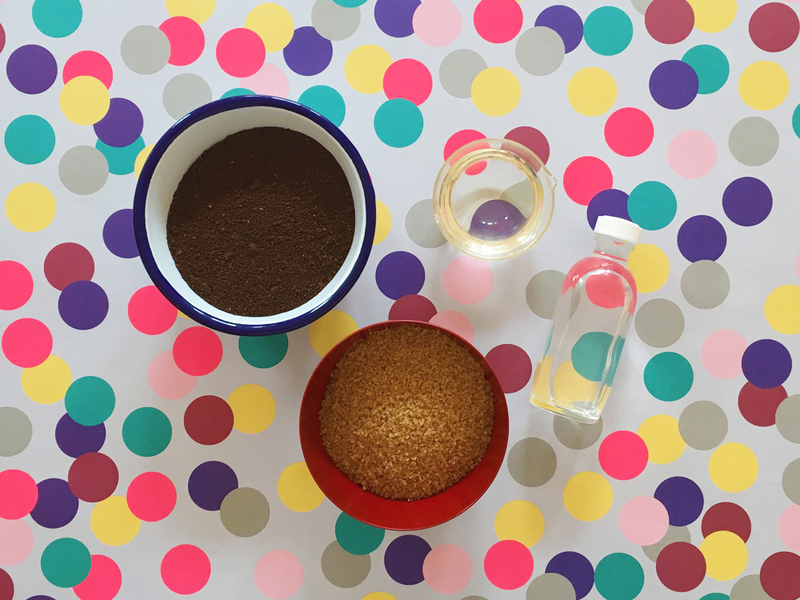 My latest happy discovery is a homemade coffee grounds body scrub. Making your own beauty products is surely one of the most satisfying things ever. It’s like being a child again pretending you’re blending the latest trend in perfumery out of petals and grass, only this time it actually works! AND this particular recipe makes you feel good all over, as your skin rejoices and you simultaneously do your bit for the environment by steering clear of plastic packaging and lab waste. Also, commercial scrubs have come under scrutiny of late because many contain microbeads (tiny plastic beads used for exfoliation which then get flushed away in the water and poison fish and other sealife), so anything natural and recycled is the perfect alternative. With that in mind, here’s my recipe for a DIY body scrub with a delicious, invigorating smell that’ll genuinely leave your skin smooth, supple and reinvigorated far beyond the effects of even the most potent flat white. What’s more, it’s dead easy to make, too. Every time you have a coffee at home, leave the leftover coffee grounds out flat on a plate to dry (maybe turning them over a couple of times to make sure they are completely dried out), you need about 50 grams in total. Next, add all the ingredients into a bowl and stir well. Decant into a steriled jar and use within two months. I used sweet almond oil because I had some at home and I love the smell, but you can easily substitute this with olive oil or coconut oil, or any other natural oil that you like. The same with water, I haven’t tried it but I’m sure the scrub will be lovely with orange blossom water or rose water. The important thing is that the quantities remain the same, so the scrub consistency is soft and malleable, but not too wet. Margherita Poggiali is a creative thinker, mum and an experience designer. Her work focuses on what’s defined in the industry as ‘urban play’ and on people’s emotional responses to space. 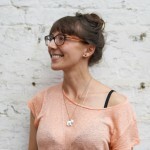 Recently, she’s worked with the likes of the National Trust, ARUP and the Southbank Centre. She’s happiest when brainstorming a project or when dancing naked in her room.